The seminar took place under the umbrella of the EU-China partnership on urbanization and with the support of the European Commission. It has been organized by the China-Europa Forum, China International Urbanization Development Strategy Research Committee, JunZeJun Law Offices. 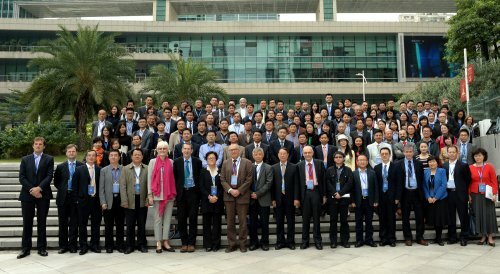 During two and a half days, twenty renowned European experts from European countries held an in depth dialog with more than fifty Chinese experts representing different stakeholders, in order to have a common comprehensive view of the role of cities in the transition towards sustainable societies .It was an unprecedented forum of such a broad issue and ambition convened on both sides by the civil society. Here are the conclusions. 1. The focus of our cooperation must be the transition towards sustainable cities. 2. Although our situations are different (in Europe transform existing cities towards sustainability, in China create sustainable cities) China and Europe are on equal footing as regards this common challenge. 5. We need to create flexible mechanisms to help new partnerships to emerge and a clearing house to connect possible partners and reduce the transaction cost of new cooperation. 6. We need to alter phases of in depth dialogs on focused issues and sharing the common lessons from these different prospects.